Mongolia is a vast country of mountains, lakes, deserts and grasslands. Mongolia is a very inviting place; the people are warm and the country fantastic. The Gobi Desert is especially awesome and experiencing the local flavor of the nomadic people and the way they live adds to the aesthetic of a bowhunt in this country. This part of the country is where you find the Gobi ibex. 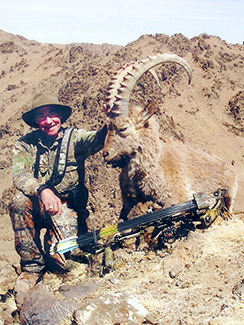 Mongolia is also home to some species of Argali sheep and several species of plains antelope.